Ciao Wireless’ microwave integrated circuit (MIC) amplifier designs are manufactured utilizing the latest in GaAs FET MIC Technology. As all designs are Thin-Film Hybrids, (Chip and Wire), Ciao Wireless is able to easily “Customize” any catalog model or design to meet a customer’s particular requirement within the frequency range of 30 kHz to 50 GHz. Ciao Wireless utilizes a modular “building-block” technique that allows any number of gain stages to be effectively cascaded within a single package. This standard manufacturing process allows for efficient fabrication of a catalog or “custom” RF Amplifier, ensuring optimum performance and lower costs, with reduced delivery and little or no special development. Because of the volume of amplifiers manufactured by Ciao Wireless, strategic partnerships have been formed with the leading semiconductor manufacturers, allowing for fast response combined with the most state-of-the-art performance available within the industry. All of Ciao Wireless’ RF & Microwave Amplifiers are designed and manufactured in accordance with the most stringent Military and Hi-Rel requirements, regardless if actually being utilized in these environments or a commercial unscreened application. In addition to its GaAs FET Amplifier operations, Ciao Wireless also specializes in the design and manufacture of Radial Power Combiners and Dividers (RPC/RPD) for High Power Transmitters, Radars and Amplifier Systems. Ciao Wireless’ innovative Radial techniques, allow for High-Power Handling capability up to 80 kW (N-Way Dependent), with low insertion loss (0.20 dB typ) and are highly phase and amplitude stable (2.0 Deg RMS/0.25 dB RMS). By utilizing Radial Power Combining and Dividing techniques, customers are able to attain ultra-high power levels with Solid State Components; increasing reliability and reducing costs and development cycles. Ciao Wireless features a comprehensive product line of RF & Microwave GaAs FET Amplifiers & Sub-Assemblies, covering the frequency spectrum of 30 kHz to 50 GHz. Manufactured with Thin-Film Hybrid MIC construction, optimum reliability and superior performance can be guaranteed on all Ciao Wireless designs. Ciao Wireless primarily utilizes two different circuit design techniques in its amplifier product line, Balanced Circuitry and Single-Ended Circuits. A Balanced Circuit design incorporates Lange Couplers at the input and output of each stage to feed two discrete transistors. By using 90-degree hybrids at the input and output of each stage and by having two FET devices per stage, advantages such as improved return loss, increased output power performance, and ease of cascading multiple stages without inter-stage matching issues, are realized. Balanced Circuits are typically used for Octave, Multi-Octave and Broadband units. Single Ended design architecture uses a single transistor per stage with either series or parallel feedback designs to facilitate matching the amplifiers’ impedance to 50 ohms. Series feedback is commonly referred to as “loss-less feedback” as no additional contributions are realized as a result of “lossy” circuits being added to the input of the FET. This approach, while difficult to optimize for return loss, permits Ciao Wireless to realize the lowest noise figures possible, and are normally used in all of the company’s narrow and octave band amplifier designs. All models feature integral voltage regulators, that make performance insensitive to supply voltage variations over a nominal +5 to +28 Volt DC voltage variation, with reverse polarity protection built-in. 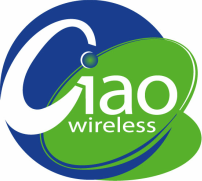 ​Ciao Wireless is able to "customize" most designs in order to meet a customer's particular requirement, and in many cases, without having to sacrifice the competitive catalog pricing and delivery of Ciao Wireless’ products. Listed specifications are guaranteed at room temperature (+23C) case temperature. However, most designs will operate over the -54C to +85C temperature range with some degradation to performance. Guaranteed performance over specific temperature ranges is available. Please contact the factory for specific temperature performance characteristics by model. Gain of a typical GaAs FET amplifier that does not include special compensation circuitry decreases as operating temperature is increased. Over the temperature range of –54C to +75C, the temperature coefficient of an uncompensated amplifier is approximately –0.012 dB / Deg C / Stage. This coefficient normally increases above +75C. Feedback stabilized GaAs FET amplifiers typically have a temperature coefficient of approximately -0.005 dB / Deg C / Stage. Temperature Compensation can provide stable gain performance over a wide operating temperature range. Improvements between 2 and ten times can be obtained, depending upon amplifier type, temperature range, gain, and bandwidth. An amplifier’s power output capability varies inversely with operating temperature. The 1 dB gain compression point will decrease by roughly 0.01 dB/Deg C as the temperature is increased in the –54C to +75C range. A typical amplifier’s noise figure will increase by roughly 0.01 dB/ Deg C with as the temperature is increased from –54C to +75C. For amplifiers with extremely low noise, the noise temperature will increase by a ratio that is approximately proportional to the ratio of the absolute temperatures expressed in degrees Kelvin (Deg K). All of Ciao Wireless’ amplifiers must be properly heat-sinked, such that the case to ambient heat rise is no greater than +10 to +15 Deg C. The maximum operating case temp for Ciao Wireless’ standard amplifiers is +85C, unless otherwise stated. While all models are manufactured to operate within a rugged Military Environment, the factory should be consulted for specific environmental operating conditions. Ciao Wireless’ standard manufacturing process is in accordance with MIL-PRF-38534 and MIL-STD-883 standards. All units are subjected to Thermal Cycle, Burn-In, and Leak Testing. Upon request, all models can be fully screened in compliance with the complete ESS requirements of MIL-PRF-38534, MIL-STD-810 or MIL-STD-202 among others. Contact Ciao Wireless with any special testing requirements or for more information on all standard process flows. Ciao Wireless’ manufacturing facilities have been established utilizing state-of-the-art technology for the manufacture of MIC hardware that meets the strict visual and screening requirements of MIL-PRF-38534. Total process control is fundamental to Ciao Wireless’ success in meeting these requirements. All process steps are completely documented and include the necessary controls to ensure that the best results are realized. All designs are developed using computer aided design and drafting (CADD) and 3D Modeling techniques. Proprietary software along with other common programs are utilized to enhance the modeling process. Circuit and design modeling is based on a detailed understanding of each electrical and mechanical parameter and is then confirmed in lab tests. Simulation and design tools such as HFSS, P-Spice, SysCalc, Genesys among others are regularly utilized. Mechanical packaging techniques are based upon the many-man-years of experience the staff of Ciao Wireless has attained, and are widely accepted by the industry. Since being founded, Ciao Wireless has supplied the Defense, Military and Commercial community with state-of-the-art microwave amplifiers, sub-systems, and radial power combiners/dividers for various applications. From the beginning, the company has been committed to superior quality in the products it delivers. This commitment has been supported not only philosophically but also with the capital commitments necessary to ensure that the best available tools, facilities, and techniques are being employed in the manufacture and test of all products. Although Ciao Wireless’ Quality Assurance Program is designed to be flexible to meet customer program requirements, Ciao has defined a baseline of inspection and screening criterion that ensures that all products will meet the most stringent military, aerospace and commercial requirements. Ciao Wireless’ commitment to furnish products considered to be “best-in-class” begins with a comprehensive Quality System that is registered to the most current standards of AS9100 and ISO9001. A copy of Ciao Wireless’ current registration certificate can be upon request or can be downloaded on its website. Ciao Wireless’ Quality Assurance organization is chartered to maintain the highest level of document and process control and quality standards. Test and measurement equipment maintenance and calibration is performed by an independent calibration company in accordance with MIL-STD-45662A and fully traceable to all NIST/ANSI standards. Ciao Wireless performs 100% Unconditional Stability Testing on all amplifiers manufactured and shipped. A formal Electrostatic Discharge (ESD) Control Program in accordance with MIL-STD-1686C and ANSI/ESD S20.20 is in place with all employees receiving formal training and recertification as required. Ciao Wireless performs 100% inspection on all received materials. Vendors and materials are continuously evaluated to ensure compliance to set quality standards. Overall vendor performance ratings are maintained with this information, with only qualified vendors utilized. Ciao Wireless’ formal Process and Quality Control Manual is available to be viewed upon request.